Up to and including Argentina's thrilling 3-2 victory over West Germany in Mexico, almost every FIFA World Cup final was a fitting showcase for the beautiful game. You had phenomenal comebacks, such as when West Germany shocked favourites Hungary in the Miracle of Bern in 1954. You had stunning team performances, such as when Brazil demolished Italy in 1970. Or you had terrific battles between talented attacking sides, such as when Argentina triumphed over the Netherlands in 1978. Then, in Italy in 1990, something bizarre happened. For some inexplicable reason, the most important match of the greatest show on Earth suddenly became really tedious. And we're not just talking 'non-league kick-and-rush' dull. We're talking 'England vs Algeria in 2010' dull. In fact, even that low point of the Fabio Capello era might actually have been more entertaining than the worst World Cup final on this list. So only a perennial optimist would expect this summer's final in Moscow to be a belter - at least if the last seven are anything to go by. Admittedly, this final was a decent battle, being both relatively open (at least by World Cup final standards) and closely contested. Nevertheless, the only two goals were a penalty and a header from a corner - hardly the stuff of a classic. In fact, the most memorable highlight of the match in Berlin was when France's scorer from the spot Zinedine Zidane clashed with Italy's goalscorer Marco Materazzi. Zidane head-butted the Italian in the chest and was rightly dismissed. It was hardly a fitting end to such a great player's career - especially seeing as Italy eventually triumphed on penalties. A clash between hosts France and holders Brazil had the makings of a fascinating encounter. You had a side who won by scoring more goals than the opposition (Brazil) against one which stopped its opponents from scoring (France). You also had France's prodigiously gifted talisman Zinedine Zidane up against Ronaldo, who'd been awarded the prestigious Ballon d'Or in 1997. Not that you'd have guessed it from the Brazilian's display in the final, which was a pretty uninspiring affair (unless you were French). Two Zidane headers from corners and a breakaway goal at the end gave Les Bleus a deserved victory. You have to hand it to Germany. Despite fielding one of the weakest sides in their post-war history, they still made it to the final in 2002. This was largely because holders France and favourites Argentina drastically underperformed, while Portugal, Italy and Spain were all on the wrong end of some seriously questionable officiating against hosts South Korea - who then succumbed to the Germans in the semi final. As soon as they came up against their first world class opponents, Die Mannschaft looked hopelessly out of their depth, as Ronaldo laid the ghosts of 1998 to rest with two unanswered goals. One of FIFA's more baffling decisions in recent years was to award the Golden Ball to Argentina's Lionel Messi in 2014. Not only was he not the best player in the tournament - he wasn't even Argentina's best player, as their progress was based primarily on a rock-solid defence. Messi also went AWOL in the final against Germany, as the only moment of brilliance in a less-than-stellar encounter came from Mario Götze. The then Bayern Munich midfielder sprinted into the Argentina penalty area, controlled a cross from André Schürrle on his chest, then fired an exquisite volleyed winner past Sergio Romero. Since the 1970s, the Netherlands have given us some of the most talented players ever to grace the world of football, ranging from legends such as Johann Cruyff and Ruud Gullit to more recent stars such as Robin van Persie and Arjen Robben. They also gave the world 'Total Football', a thrilling, attack-minded approach which revolutionised the game. You wouldn't have guessed it from the 2010 World Cup final - also known as 'the Battle of Johannesburg'. Nigel de Jong's kung fu 'tackle' on Spain's Xabi Alonso epitomised the Netherlands' tactics. Fortunately for football, they failed, as Spain won 1-0. 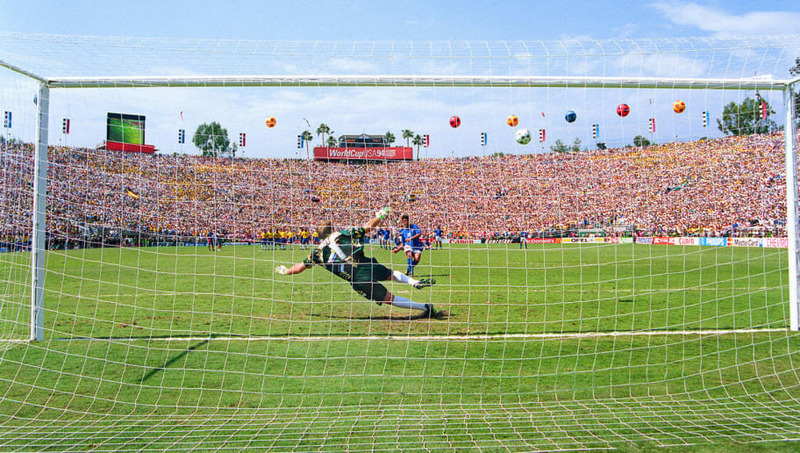 The 1994 final in Pasadena, California was a reprise of the 1970 final - arguably the greatest World Cup final of all time. Anyone hoping for similar levels of entertainment in 1994 would have been bitterly disappointed. Neither side fitted their national stereotype - Brazil were heavily criticised back home for their cautious tactics, while Italy forward Roberto Baggio lit up the knockout stages with three scintillating displays. Unfortunately for Baggio, defences reigned supreme in a sterile encounter. His most notable contribution was to gift Brazil the World Cup by blazing his penalty over the bar in the inevitable shootout. 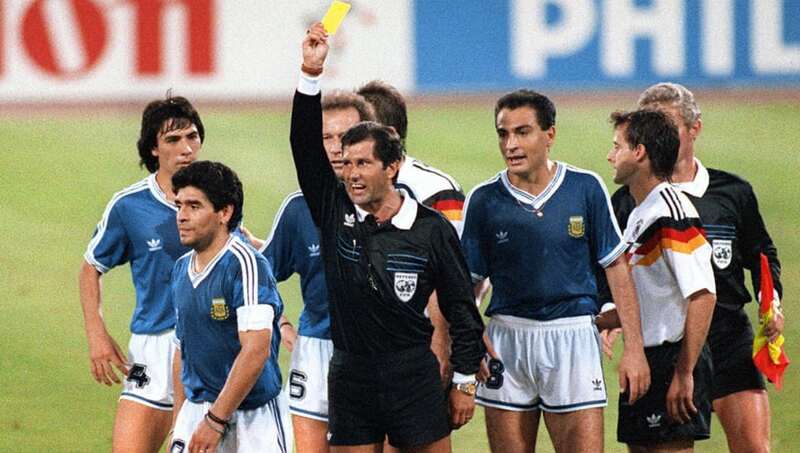 Even now, 28 years down the line, this bad-tempered, negative, joyless clash at the Stadio Olimpico in Rome still holds the unenviable title of Worst Ever World Cup Final. It saw twice as many red cards as goals, as Argentina's Pedro Monzón and Gustavo Dezotti were both dismissed for hideous challenges. In a match fraught with controversy and gamesmanship, it was apt that the decisive goal came from a disputed penalty, which was dispatched by Andreas Brehme in the 85th minute. 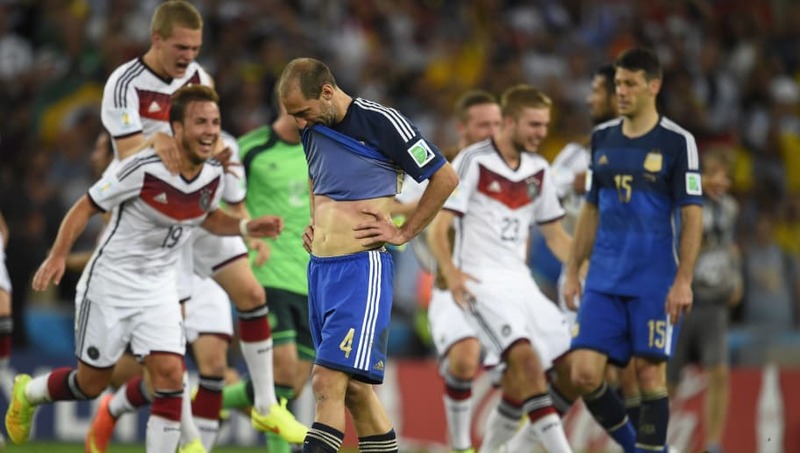 We can only hope that no other World Cup final will ever be as dispiritingly awful as this one.